For any dog owner, witnessing your beloved pet having a seizure or fitting episode can be a terrifying experience. Seizures or fits are the result of disease and your veterinarian will need to run several tests on your dog to determine the cause. 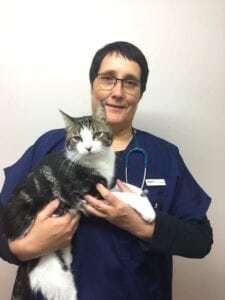 “The most important thing you can do as an owner is not to panic,” says EberVet Pet Clinic veterinarian Dr Esmaré van der Walt. There’s no risk of a pet swallowing his or her tongue, but it is important to seek veterinary help as soon as the fit has subsided. How do I recognise a seizure? Seizures can range from mild episodes—in which you may only notice slight twitching, limbs going rigid, weird yelps or fly biting—to more serious seizures with violent twitching, loss of consciousness and possible urination and defecation. A pet may not respond to his name during a seizure. After a seizure, a pet may act drunk or unbalanced. The causes are sorted into two broad categories: intra-cranial (meaning the cause of the seizure lies inside the head) or extra-cranial (meaning the cause is somewhere else in the body). There are many causes of extra-cranial seizures, including diabetes https://www.ebervet.com/diabetes-dont-miss-warning-signs/, hypoglycaemia (low blood glucose) liver and kidney disease, liver shunts in younger animals, heat stroke, severe dehydration, pesticide poisoning and infectious diseases. If the underlying cause is successfully treated, then seizures won’t return and more treatment for seizures isn’t usually required. Intra-cranial causes include epilepsy, brain tumours, anatomical defects and epilepsy. 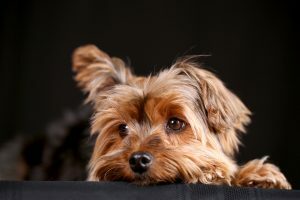 Epilepsy is the most common cause of seizures in dogs and is usually seen between the ages of 2 and 6. There is no cure for epilepsy, but if the seizures are interfering with quality of life, treatments are available. In cats, the most common causes are brain lesions , liver and kidney disease, hypoglycaemia, and inflammation of the brain (viral). Do not panic. This is the biggest mistake pet owners make when facing a seizure. Call your veterinary hospital or emergency clinic immediately. Pets who are having, or just had, a seizure should be seen promptly by your veterinarian, preferably after the seizure has stopped. Transporting a pet during a seizure can pose several problems, including risk of biting or scratching, and large dogs are difficult to carry. Even though you’re worried about your pet, unless a seizure exceeds 5 minutes in duration and shows no sign of stopping, wait until a seizure ends before heading to the veterinary hospital. If there’s possibility of heat stroke, take measures to cool the animal. Wrap your pet in a wet towel to try to bring down his body temperature. Cats and small dogs should be transported in a carrier, and always remember that your pet may not be in his right mind when you handle him. Dogs and cats usually respond well to anti-seizure medication. “However, any dog/cat taking anti-seizure medication must have blood drawn relatively frequently if the seizures are not controlled,” says EberVet Pet Clinic veterinarian Dr Esmare van der Walt. “This is to help determine the correct dosage. If seizures are under control, then every 6 months.” Older animals may be tested more frequently as well.